With that famous 1952 film (starring Ava Gardner and Gregory Peck) in mind, on that occasion we fulfilled the dream – not to say the “obligation” … – to ascend to the highest peak of the African continent and one of the icon planet. In Tanzania, And after almost 30 hours of travel we arrive in Arusha, where we would stop to rest one night before taking the 4×4 course to adventure. “Magic”. Thus the essence of the road that led to the coronation of “The White Mountain” (In Swahili), a stratovolcano in the Cordillera del Great Rift Valley, Formed by three inactive volcanoes: the craters of Kibo (5.895 m), which is the highest (peak Uhuru) And has a diameter of more than 2 km (!) 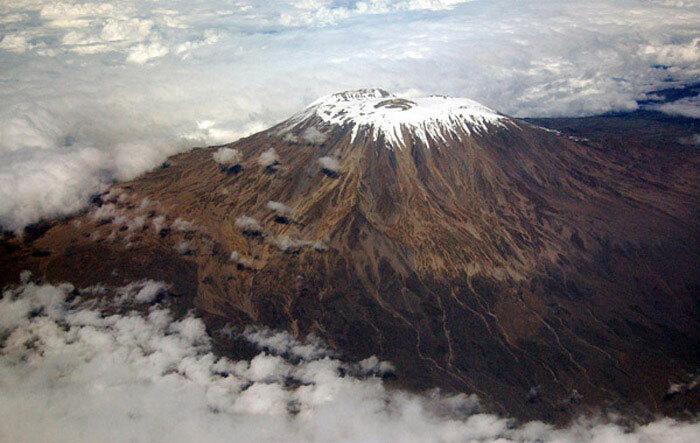 In circumference, that of Mawenzi (5.149 m) and the Shira (3.962 m), The oldest and worn. It also emphasizes the presence of about 250 satellite cones on both sides of these three peaks. Ascended for the first time in 1889 by a German expedition, in our particular journey we are on the Lemosho route, selected among others for the variety and spectacularity of its landscapes, flora and fauna. Although it is the longest of all, it is also the most tranquil, running – in part by primeval forests, such as those of the Alpine plateau of Shira – through the Barranco Valley to the Lava Tower. This route starts in Londorossi Gate (At 2,100 m) to connect, following the Shira I Camp (3,505 m) and Shira II Camp (3,810 m) stages with the Lava Tower (4,630 m), a point of convergence with other possible routes, Pleasant feeling of solitude and exploration that we had had during those two previous days. The good logistics of our Tanzanian team, a correct food, a proper rest and the pace of life pole (in Swahili “rest”) of the place would make of these stages a nice trip for all levels of demand. However, do not trust yourself. Ascend to a peak of almost 6.000 m without using cords or crampons, although it was affordable, it is a small “feat” that charges some toll, especially for the component of altitude sickness. Thus, the day of summit can be made long not only by the hour of departure (1:00 am maximum), but by all the unevenness accumulated in the descent towards the successive camps. In any case, Kilimanjaro (national park) will offer you a host of unforgettable experiences, sensations, challenges, anecdotes, prints (such as the fantastic fog forest), many magical moments and something always new to learn from contact with travelers from other countries And, above all, with the Masai or the Chagga and their ancestral culture.